In his formative years as a session musician, in fact even after the recording of his third album, Elton earned some extra cash recording cover versions of the hits of the day, anonymously, for budget record labels. These long player albums retailed at around the same price as a regular single, and they would be rushed out to share the shelves with their 'legitimate' counterparts. Until the record labels worked out that they could make money by making compilations out of the actual recordings, these records sold in their millions. For years, these records sat at the back of people's collections, and in piles in charity shops, before Elton's fans started going through them. More than 50 recordings featuring his voice have since been identified, and many more remain to be discovered. 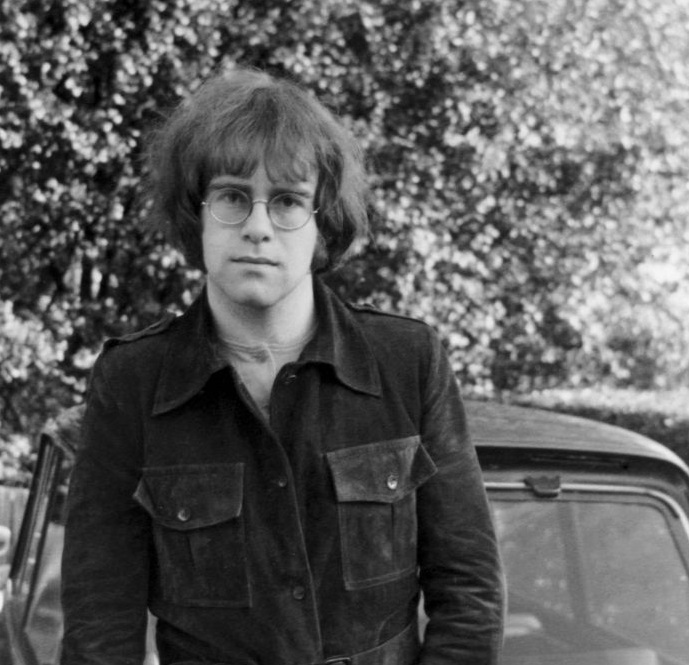 In these sessions, Elton sang and played keyboard along with many now-familiar names, including David Byron, who went on to front Uriah Heap, and Dana Gillespie. Dana's biography is long and impressive, taking in connections with Jimmy Page, Donovan, Dylan, Bowie and Lionel Bart. She was also the original Mary Magdalene in the Jesus Christ Superstar stage show, and a four-time British Junior Waterski champion. Dana very kindly agreed to be interviewed for this episode, and her recollections are here, bringing the story of these sessions to life. Featured in the episode are recordings that did not find their way onto the collections that came out under titles such as 'Reg Dwight's Piano Goes Pop' in the nineties. I've tried to find less commonly-heard recordings, and in the process I have uncovered a couple of recordings that are new to YouTube (and uploaded them to my channel). I am indebted to the work of all the Elton John fans who have researched this material. The hall of fame must include David Bodoh, whose 'Eltonography' website hosts a wonderful list of the tracks that Elton is throught to have contributed to. Thanks also go to the gentleman who compiles the tobekompleated discography. His discography features images and track-listings of many of the records that collectors might want to investigate. Anyone with an interest in these records would also enjoy the following web pages that are devoted to them - hitcovers, copycatcovers, and topofthepops. The remainder of the interview with Dana - about her incredible career. A recording of Dana tackling 'That Same Old Feeling', a beautiful song, a top 10 hit for Pickettywitch in January 1970. David Byron's take on 'Let's Work Together' by Canned Heat. Elton taking secondary vocals on 'Wand'rin' Star' by Lee Marvin. The full playlist of tracks on '28 International Top Songs'. Here's a blog post about this record.